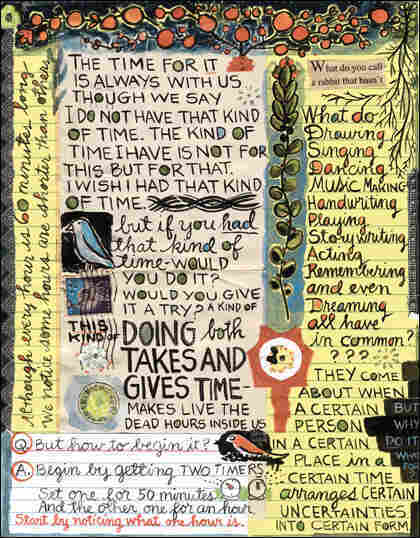 'What It Is' Plumbs the Depths of Creativity Illustrator Lynda Barry has questions: What is an image? Where is your imagination? What is an imaginary friend, and are there imaginary enemies? Can you have thoughts without language? 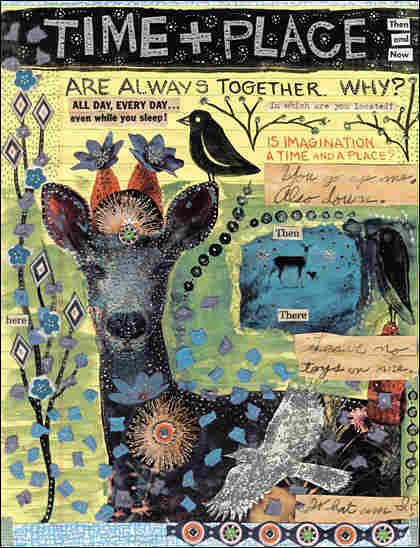 Barry grapples with these ideas and more in her new book of collages, What It Is. What happens to creativity and imagination as we get older? The cartoonist, artist, author and teacher says that in her book of full-page color collages, she is trying to tap into the creative, artistic exploration that comes so easily to children. "Something happens to us as we get a little older," she says. "Adults would never consider [drawing] on a piece of paper and then just throwing it away afterwards. In fact, unless it's valuable afterwards, most adults don't think the experience was worth it. So that's kind of what the book is about. It's about what happens. What happens to that creative urge."